Music producer Hcue brings on singer Kida for the music video and song Don’t Say No More. 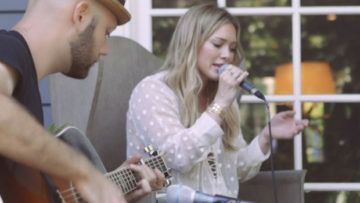 Hilary Duff in the acoustic version of her song “Tattoo” from off the album “Breathe In. Breathe Out”. Halsey in the music video for the song entitled “Ghost” from off the album “Badlands”.